Kitchen! Kitchen! : gravlax avocado tartare 2 & potato blinis...at kitchen! kitchen! gravlax avocado tartare 2 & potato blinis...at kitchen! kitchen! 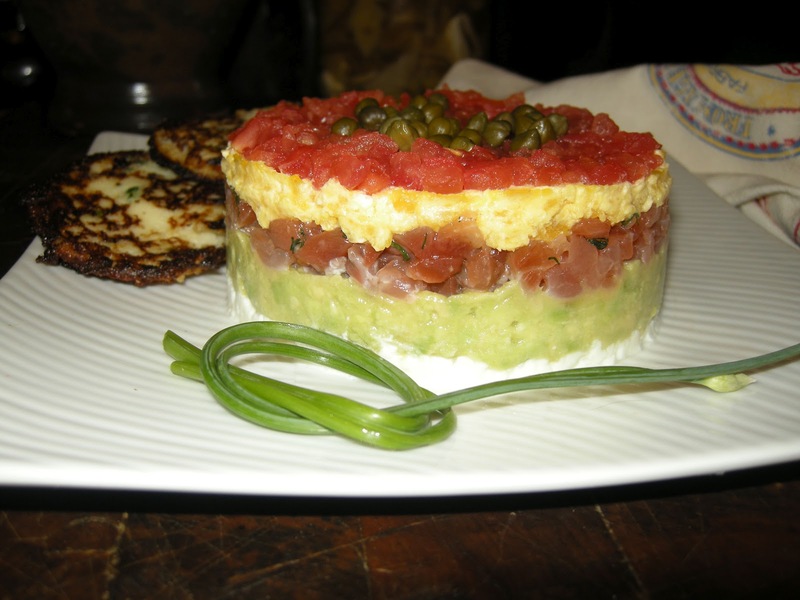 "Gravlax & Avocado Tartare" and give it your own twist. an impressive and delicious appetizer. Serve with potato blinis or potato pancake.